I splurged on a travelling watercolour paint set recently. A proper grown up one. It came complete with twenty sheets of lovely thick cotton paper. 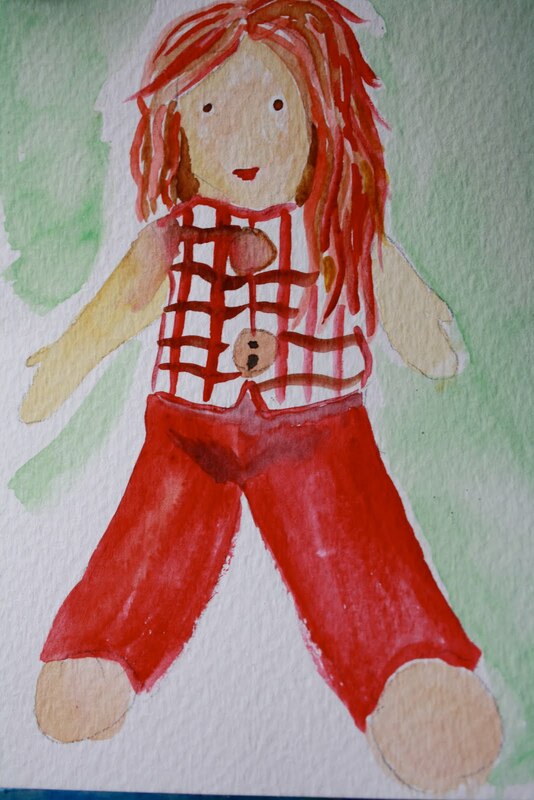 Elsa and I have had a little fun painting the portrait of her much loved doll Pippy. She's a bit of tomboy and a bit grubby round the edges but she was a delightful model. Most ladylike and didn't move a muscle. Her portrait now sits on the piano next to other cherished family snaps, immortalised as a sweet family keepsake. What a wonderful representation of a beautiful doll. I bet you had fun playing with the watercolours. I'm enjoying discovering your beautiful blog. Gorgeous! I love the Pippy's knitted pants. 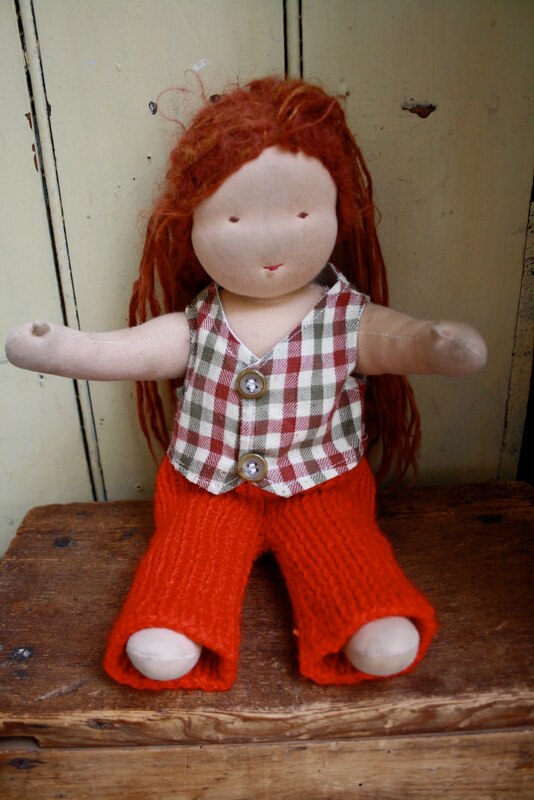 My mum used to knit clothes like that for our dolls. it's gorgeous. how talented you are! What beautiful pictures and keepsakes. I think I might need to get some watercolours too. It looks like fun.